In Episode 060 we're joined once again by Jonathan Hart (@rowj), host of the Brokedown Podcast (@BrokdownPod) to discuss our very first Grateful Dead jam, the "Dark Star" from the Kiel Auditorium in St. Louis, MO, on October 30, 1973. In Episode 059 we step back to 1988 to discuss a fascinating version of "The Curtain With." Featuring a disjointed swirling guitar jam, a legitimate "Dave's Energy Guide," and a preview of the ways in which Phish would break from their song structures to craft wholly original music in a live setting within five years time. In this Bonus Episode we take a look back at the year 2010 and discuss our favorite albums of the year. In Episode 058 we take stock of the recent Phish Mexico Run, focusing on one of our favorite jams of the run, the "Carini," as well as the accompanying "Tweezer -> Ghost -> Say It To Me S.A.N.T.O.S." segment that felt like most purely fun part of the entire weekend. To do all this, we're joined by our good friend, and fellow podcaster, Matt Dwyer (@mdphunk) of The Helping Friendly Podcast. We dive deep into the experience of seeing Phish in Mexico, as Matt has been to both the 2016 & 2019 runs, before discussing the run as a whole. 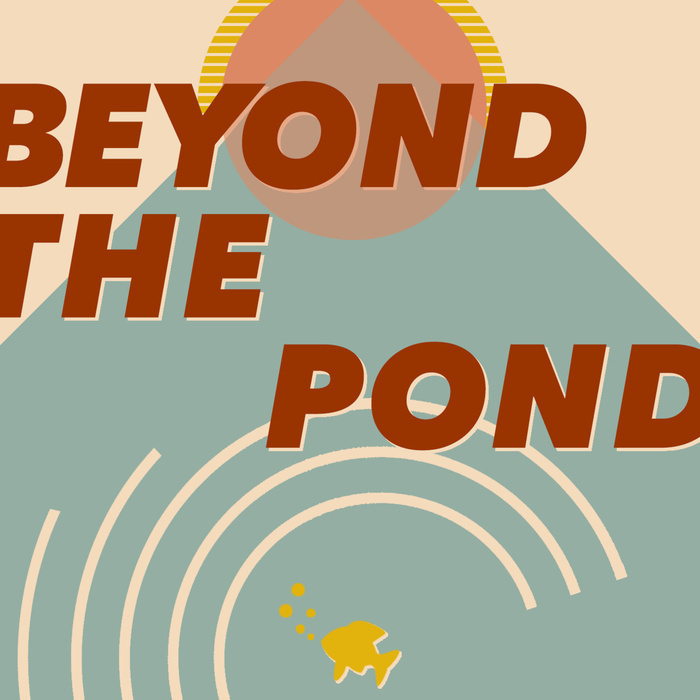 In Episode 057 we sit down with the founders of Beyond Beyond Is Beyond Records, Mike Newman and Dom Miniaci, for a great conversation that ranges from the Baker's Dozen, to running an independent label, to highlighting a few of our favorite bands from the BBiB label. Mike and Dom manage one of the best labels for psych rock with a focus on songwriting and improvisation that is currently our favorite brand of jams. In Episode 056 we are joined once again by rock music writer & Phish Ambassador, Steven Hyden ([@Steven_Hyden]), to discuss our five favorite sets of 2018, plus chat about other historical examples of bands pulling a Kasvot Vaxt. We dive deep into the nuances of the last year for Phish as well as showcase the historical precedent - and lack thereof - for Phish's 2018 Halloween Performance. In Episode 055 we sit down with Rob Mitchum (@phishcrit) to discuss one of the transformative jams of the 3.0 era: "The Storage Jam" from Super Ball IX. A jam the brought back the sense of danger to Phish, while opening the doors to further exploration which the band has used as inspiration over the past 8 years. To explore this further, we instilled Rob as a guide into the world of Chicago's Psychedelic Underground Jam Scene. In Episode 054 we're joined by musician, fellow-podcaster, and Phish/Dead/National fan, Conrad Doucette (@conrad)for a wide-ranging conversation. Covering Conrad's experience seeing Phish for the first time in 25 years on December 29, 2018, his contributions to the Day of The Dead compilation, playing with The National, and much more. In Episode 053 we discuss two standout jams from Phish's 2018 New Year's Eve Run at Madison Square Garden in New York City: "Tweezer" from December 29 and "Seven Below" from December 30. Two of the strongest jams from the four-night stand, and also two jams that very clearly touch on themes from one of the band's biggest influences: The Grateful Dead. In Episode 052 we take a step back, drink some mulled wine, light a nightly candle, and soak in the vibes of the season. We focus on 12/28's through the years, highlighting the 2003 run in particular, and discuss the "Frankie Says" & "Suzy Greenberg" from that year's 12/28 show. We also discuss the major themes one can expect from the first night of a holiday run, as well as the standout jams we've seen from them over the yeas. In addition, we discuss our slow-burn albums of 2018, our favorite Phish shows of the year, and share a playlist of boozy, late-nite, NYC Dive-bar Christmas jams that are sure to hug you like a glass of gluvine this holiday season.